The most relaxing scenic way to travel! River cruise vacations allow you a front row seat to some of the world’s most enchanting waterfront cities, with panoramic views and breathtaking landscapes. River cruise ships dock right the heart of the activity, only steps away from the charm, excitement and bustle of many of the world’s most fascinating port towns. Sail the rivers of Europe, Russia, Asia, South America, Egypt and Africa. Also with American Cruise Lines, you can experience all the glory of sailing the inland waterways of the USA! River cruising offers a relaxed and comfortable way to see the world's most picturesque countryside, rivers, canals, inlets and harbors. We can help you plan a unique travel experience to popular tourist destinations in countries you may not have considered for a river cruise such as Australia, China, and Egypt. We can also help you find the best cruises to visit dozens of European and Asian cities and countries as well. River cruising lets you get up close and personal to art galleries, restaurants, castles, theaters, shopping, wineries and museums. Viking River Cruises, Avalon Waterways, AMA Waterways, Scenic and Uniworld Boutique River Cruises are five of the most popular river cruise lines in the world, each with its own uniqueness and charm. Join me on my 2019 Group Beer Theme River Cruise! 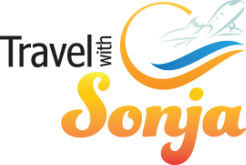 ​Contact your River Cruise Specialist at Travel with Sonja today to begin planning your unique river cruise, agent@travelwithsonja.com or 440-724-3261!